1. Having the setting on your flat iron to high. 2. Straightening hair which is not hydrated. 3. Straightening hair which is damaged. Use harsh heat responsibly, always schedule your flat iron sessions in advance. This gives you proper time to prep your hair for the harsh heat. 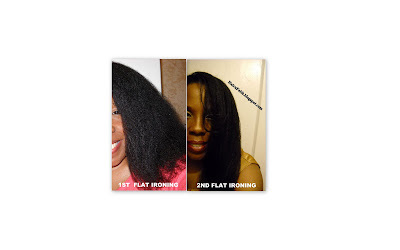 9 day preparation for flat ironing your natural tightly coily hair. Day two: GHE over night or 3 hours. Apply natural oils and more leave in as needed. Day five: Shampoo with a moisturizing shampoo and deep condition your hair. Day six: GHE apply natural oils and leave in as needed. Day nine: Cleanse your hair with a mud clay wash. The clay wash give your hair strands a thorough cleansing without stripping your hair of needed oils. You hair will feel soft and conditioned after using a good clay wash. Follow your wash with a good moisturizing conditioner, sit under dryer with conditioner for at least 10 minutes, rinse out conditioner with cold water to close the hair cuticle. Now your hair is ready, it should feel strong, soft and have great elasticity. No breakage when you manipulate it gently. Step 1. Be sure you have done the 9 day heat prep, this will help to keep the heat from scorching your hair. The number one cause of heat damage is flat ironing dehydrated hair. Step 2. Apply a leave in conditioner followed by a silicone based heat protectant. I recommend Cantu shea butter leave in conditioner. Braid hair in sections then allow to air dry, do not blow dry. Step 4. Take each small section and flat iron using the comb chase method. Be sure your comb is a seamless comb. If you feel your hair popping as you run the comb threw your hair then stop and untangle that section some more, to prevent breakage. If you followed all previous mentioned instructions, you will only need 2 passes with the flat iron. Even if your hair is tightly coily 2 passes should be all that is needed maybe a third pass for clean up. How long your press lasts will largely depend on the time of the year you flat iron and how well you take care of it daily. During the Winter months my presses last for 7 days plus. 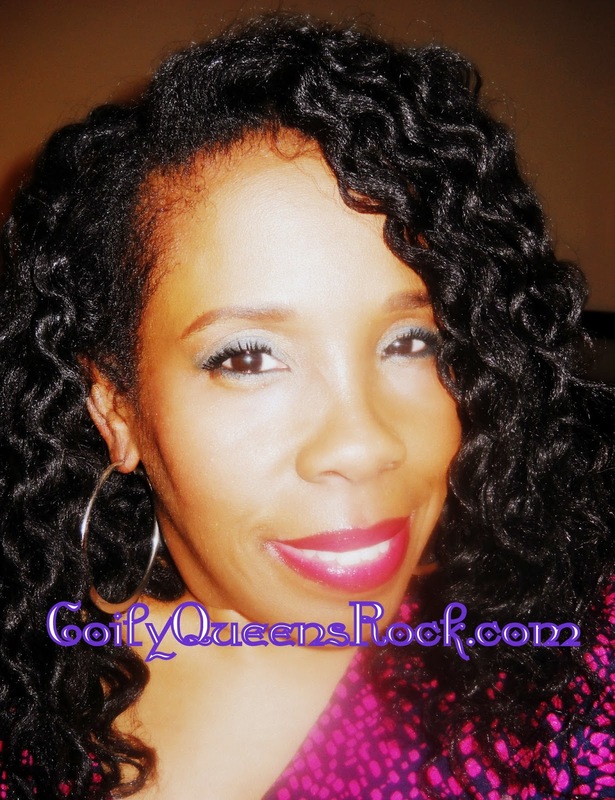 If you feel your hair popping when using the chase method, stop and untangle some more. Use a good quality ceramic flat iron that has number heat settings. After you apply the flat iron to each section run your fingers through the section to make sure hair is not scorched or breaking. On the day you decide to flat iron try not to also use the blow dryer, let your hair air dry when possible. Most important is to take your time.